Over 1000 Exciting Levels to beat! Fun arcade game, thousands levels, hundreds hours of entertainment. Very challenging and addicting free game. This is a simple game with simple rules. Just click to jump, and don't touch the black square on the circle. It's a fun physics based arcade game, recommended both for children and adults! The challenge increases with each level. Enhanced gameplay, amazing power-ups and addictive game mechanics! 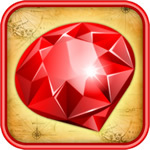 Discover Easy Gems: Amazing Match 3 Puzzle. 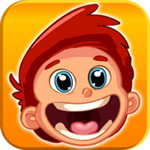 Enhanced gameplay, amazing power-ups and addictive game mechanics in match three puzzle game. Fun and challenge gameplay, 82 levels - each one is unique and full of fun and amazing challenges, 6 power-ups, Create COMBOS by power-ups and create amazing cascades, Nice music, TOP-NOTCH performance, Charming Retina HD graphics, Beautiful visuals and animations! 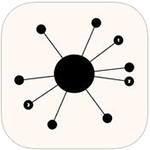 Fun dots placing game, thousands levels, hundreds hours of entertainment. 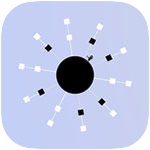 Very challenging and addicting puzzle game. 80 Exciting Levels to beat! Line up dazzling small buttons and eliminate tiles across 80 levels of fun. Use your new abilities to cut the ropes that lock certain buttons in place or send lightning ripping through tiles. 80 Exciting Levels to beat. Enjoy gripping gameplay with spellbinding visuals and fun in Small Buttons! 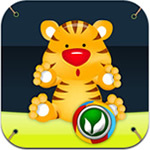 Bouncy Toys is a fun physics based match 3 game, where the boy rescues plush toys from the bubbles. Bouncy Toys is guaranteed to lift up your mood. Only a positive experience. It's recommended both for children and adults! 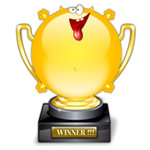 A grand prize from the God Hotei waits for you at the end of your quest! Embark on a dangerous island journey in search of the Treasures of Hotei. 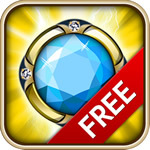 Swap gems and advance through each level, collecting coin parts that once combined will open the gates to the treasure! The challenge increases with each level, but help is on the way from a variety of clever bonuses. Send forth fire breath, electrify the board with lightning, or go big with an explosion! Three-dimensional simulator with physics of destruction with Demolition Physics Editor - built-in Editor to create custom levels! 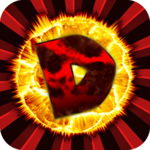 Demolition Physics is a three-dimensional simulator with physics of destruction. It has complete control over the physical world and the objects it contains, with plenty of special effects, support for 3D stereo glasses, and a built-in level editor, which allows you to create easily your own game levels! 10 types of explosions: from the fiery trail to the atomic explosion. Each explosion has its own distinctive features and different impacts on the destruction. Demolition Physics Editor is a built-in editor, which allows you to create your own levels quickly and easily. At any moment you can save/edit/load created by you levels. Experiment with the settings of the physical properties: you can change the settings of gravity, air resistance, mass (weight) of objects, and much more! Special features of the Editor and user-friendly interface will allow you to easily create your own unique levels. 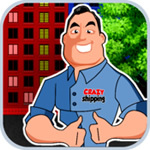 Crazy Shipping is a classic retro style arcade game. You have received a large order to move belongings of tenants from two neighboring buildings, and this order can handle only your company. There are so many tenants wishing to move their stuff that you have to catch objects which people throw out from the windows. Each game level becomes more complicated by growing number of tenants, and it gets more difficult to catch objects. Some tenants throw out their belongings, others are trying to help you and throw out bonuses from the windows; but beware - some of the tenants, disgruntled by waiting, drop a bomb and damage your truck so it can’t be fixed. The perfect fun game for you and your family! "Try to beat me!" - Online challenges with your friends! Get out from the bottom of the ocean on bubbles! Collect gold coins and chests with treasures. Catch the stars, they will help to rise faster to the top. Don’t miss a rocket – this is a chance to rise as fast and high as possible! Beware of sharks, sea hedgehogs, crabs and mean air monsters! MatchPad is highly addictive. To achieve the highest possible score, match pairs of adorable cards as quickly and with the fewest mistakes as possible. As your completes each level, the game progressively gets more challenging and engaging. MatchPad is a must have game for the entire family. Branovets Games is a two-man, independent video game development studio based in Minsk, Belarus. We do everything we can to create such games that we're proud of sharing and talking about with gamers and, hopefully, create something that's meaningful to you. © 2009-2014 Branovets Games. All Rights Reserved. iPhone, iPad, iPod touch, iMac and MacBook Pro are trademarks of Apple Inc., registered in the U.S. and other countries.